It was on October 17th 1979 that I first met Frank Lindenfeld at the Association for Humanist Sociology meetings in Johnstown, Pa. Frank was one of the presenters in the panel moderated by me. As I remember the occasion, the main focus of our discussion was alternative economic development models, with Frank presenting preliminary data and analysis of the Jamaican sugar workers’ cooperatives, with which he had recently established a connection of sorts. I was thrilled to hear of his work since I, a newly minted Anthropology Ph.D., was also very much interested in cooperative and other collective forms of economic organization as well as in the history, political economy, and culture of the Caribbean. So, I approached Frank after the panel to get some more information about his research and, in retrospect, naively asked him if he could introduce me to his contacts in the sugar cooperatives in Jamaica. How many academics readily share “their” data sources with each other? How many welcome an additional researcher to “their” site, especially if the newcomer is someone they don’t know well? Well, Frank did just that. On his next trip to Jamaica I tagged along and subsequently ended up working with Frank and the sugar coop members and leaders over many years. A more generous soul than Frank is hard to find. That was Frank and that is Frank in the memories of most of us who had the privilege to know him. At least that is how I knew Frank. As a gentle man, soft spoken, with a glint in his eyes most of the time. A man with a great intellect and practical mind, a great laugh and a very big heart. He was courageous and willing to stand up in a non-confrontational way to those who would exploit others. A man who did not closet himself in the ivory tower, but generously shared his knowledge with others in order to affect change. He did not just criticize all that was, and still is, wrong in the oppressive system that exploits workers’ labor for private gain, but proposed practical ways of developing non-exploitative and environmentally sustainable forms of production and exchange to serve as models of what is possible. As Mathias Brown so eloquently states in the AOC’s Tribute to Frank, he was well ahead of those in charge of the economic institutions in Jamaica and the U.S. at the time and ready to take on those in power simply by providing alternative and workable solutions to the old sugar industry practices. It is important to remember that in the late 1970s and early 1980s, political struggle in Jamaica was fierce, not only between the two main parties, the then progressive People’s National Party led by the late Michael Manley, and the conservative Jamaica Labour Party, headed by Edward Seaga, but also within the PNP, the party in power 1972-1980. In the sugar industry, the three estates that had variously been managed by Tate & Lyle (Frome and Monymusk), United Fruit Company (Bernard Lodge) and the Jamaican government (all three of them) were turned over to the workers as part of Michael Manley’s commitment to greater worker empowerment. However, the Sugar Worker Cooperative Council (the highest administrative authority over the sugar fields of the three estates) found itself quickly in a struggle not only against the ‘bushas,’ the old-time managers of the estates and farms comprising the cooperative, but also against PNP-appointed government officials who were not about to cede control to sugar workers, most of whom were descendants of slaves and still occupied the lowest rung of the status hierarchy. The workers were also divided, with some of them firmly under busha control, while others courageously stood up to their former bosses. Every step of the way, then, powerful individuals tried to thwart the efforts of the workers to turn the cane fields into truly worker-run and profitable entities, the latter a formidable task in itself given the fact the factories remained in the hands of the government. It was this struggle that Frank first walked into and subsequently gave me the opportunity learn about as well. And it was in those years of incredible optimism and hope among the workers that ‘better must come’ (the PNP election slogan) that both of us were privileged enough to forge friendships with co-op leaders, teachers, and workers that lasted a lifetime. Frank’s contributions in Jamaica were many and multi-faceted. At a conference, Frank first met Winston Higgins, then a cooperative development officer with the Frome-Monymusk Land Company (FMLCO - the government arm that at the time was in charge of the government-owned sugar estates) in the Manley administration and fell in love with the cooperative idea and concept. Later, when Frank was introduced to me and when I told him about our social action approach and the people’s visions of the sugar worker cooperative, he was more receptive to our bottom-up idea of how the coop should be run. The model proposed by the FMLCO was a top-down form of structure. Frank then set out to convince Winston Higgins that our philosophy and vision was right after satisfying himself that the vision of the poor workers was the correct one. After winning the battle against the FMLCO of who should control the coop, the workers or the staff, Frank encouraged the coops to employ Winston Higgins and proceeded to use his investigating skills to find out what was taking place and the thinking inside the FMLCO through Winston Higgins. Many people in the FMCLO and the United Sugar Workers Cooperative Council, especially those at Bernard Lodge (the third estate included under the Sugar Worker Cooperative Council umbrella) suspected that Frank was a spy, not to be trusted by the workers. They were trying to put a wedge between him and the workers. Frank had to double his effort to convince the management of Bernard Lodge and Monymusk Sugar Cooperatives that he was genuinely supporting the workers’ cause. He knew that Frome, where I functioned as one of the local coop leaders, was fully in his corner. The best proof of Frank’s loyalty to us, the workers, was his role as “liberator” of a vehicle donated to the coop, but appropriated by a government official. Frank offered to retrieve the car and managed to do so under the pretext of fixing a mechanical problem, skillfully using his white and foreign researcher privilege to bring the vehicle safely back for the use of the workers. Frank was also an important liaison between the sugar coop and Steve Vetter of the Inter-American Foundation, who had approved a major grant to support the coop education effort. Frank assisted in developing the grant proposal and continued to provide support in the struggle to ensure that the money would actually reach the workers, when the bureaucrat appointed by the government to oversee cooperative education held up the grant for two years. In his “official” role as a researcher, Frank was able to get sugar industry data from the FMLCO as they continued to deny us (the workers and coop leaders) the true figures for the three estates and the industry as a whole. These are just two examples of the efforts by some in the Manley administration to thwart the workers’ efforts to implement what the Prime Minister had set as his government’s vision for greater equity and social justice. 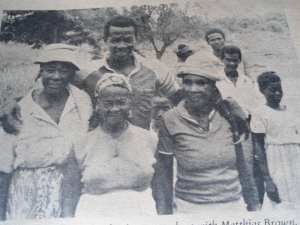 Through the several years of fierce struggle to implement true worker control of the Jamaican Sugar Cooperative, Frank worked with the Sugar Coops and the Social Action Centre, a progressive organization involved in initiating the grassroots coop organizing effort, to implement a multitude of creative and farsighted ideas,. These ranged from creating fish ponds and cultivating food crops on areas not used for cane cultivation to using the bagasse for energy to run the factories and for ethanol production. I must mention also that Frank again came to the support of the workers when they were displaced during the takeover of the sugar cooperative by the JLP government in 1981. He came down to help us with the enquiry that could have potentially saved the cooperative structure of some of the most successful farms, but which did not in the end prevent the dismantling of the cooperative organization during the conservative political climate that followed the JLP election victory. Frank gave me personal support, financially, socially, and morally when in 1983, after the destruction of the cooperative, I was arrested on false charges of involvement in election violence in the 1979/80 elections. As professor of Sociology, at Cheyney State University, Frank invited me to give a talk on the Life and Social Situation of the Jamaican Sugar Workers as part of their program for broadening the knowledge of their students about the third world. I was also invited to share the platform with him in the Philadelphia Community Centre to talk about the six years of the Sugar Cooperatives in Jamaica, which was to be part of the Wooden Shoe Lecture Series. He was very supportive and delighted when he learned that the Inter-American Foundation was sponsoring me on a six-month course to Coady Institute in Canada beginning in June of 1982. Right away, he started to develop material for me to study for the course. Over the years, he wrote many articles supporting the workers’ cause. Frank and I were happy to know that, although the sugar cooperatives were ‘mash up’ by the JLP shortly after the party won the 1980 elections (contrary to Seaga’s promises to support them), the coops live on in spirit in the community organizations that grew out of the cooperative movement. 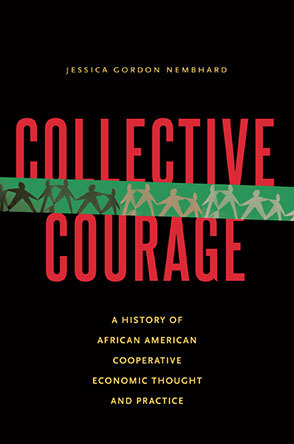 Coop leaders, largely under Matthias Brown’s initiative, were wise enough to understand the need for community-based organizations to provide support for the coops. Out of these emerged the Association of Clubs, an umbrella organization of several community clubs in the Frome sugar estate region, many of which have survived until today. Today the AOC, renamed the Association of Community-Based Organisations, (AOCBO), is comprised of community members of all ages who come together for weekly meetings to discuss community issues, to socialize, and have a good time. These clubs have written grants for a great number of community projects, ranging from creating a beautiful park, running a summer camp for over 100 children, building schools, providing educational programs, and providing assistance to hurricane victims, just to name a few. In 2010, the AOCBO was the recipient of the Michael Manley Award for Community Self-Reliance, the highest national honor a community can receive. Frank and I had the opportunity to return to visit with our friends many times in different capacities, something I cherish to this day. In my own case, what Frank helped set in motion has led to the forging of new kinds of relationships with the few remaining coop leaders and members and their many descendants. The Association of Community-Based Organisations has adopted village tourism as one of its many on-going projects to bring more resources directly into the community. In my own capacity as a volunteer for Amizade Global Service-Learning and Volunteer programs and Matthias Brown’s work as Amizade’s Site Director, hundreds of students, mostly from the U.S., have been able to learn, together with Jamaican youth, what successful grassroots community development looks like from the AOCBO members and the families that host them. Our long-term commitment, not yet achieved, is to generate a more sustainable resource base for community-led development projects and more opportunities for AOCBO members and low-income youth to learn and serve in the U.S. and other partner organizations in Africa, Europe and South America. The sugar worker cooperatives did not survive as an organizational form and hierarchical and exploitative institutional structures remain firmly entrenched in the U.S. and Jamaica. But what several thousand Jamaican sugar workers accomplished when they courageously challenged a several hundred year-old plantation system founded in slavery, serves as a shining example of what IS possible. Frank’s life’s work, too, is a constant reminder of the need to educate new generations about cooperation, not competition, as the necessary foundation for human economic activity, social organization, and consciousness if we, and the life forms we depend on, are to survive.